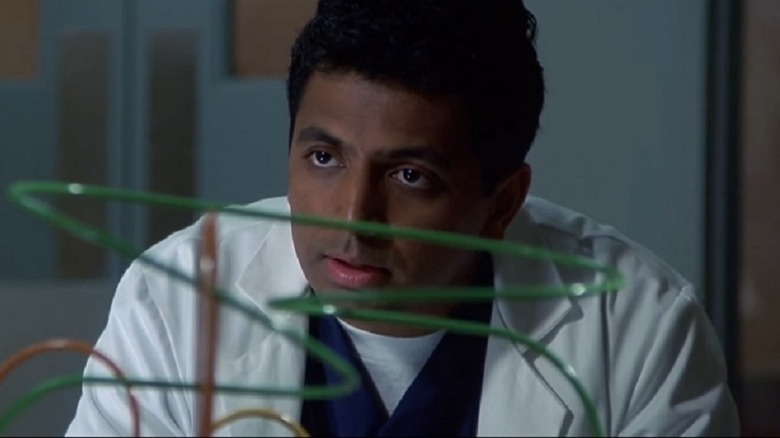 When The Sixth Sense arrived in 1999, most critics agreed that we were witnessing the arrival of a major new talent in Indian-American writer-director M. Night Shyamalan. The movie offered a master class in mood, atmosphere and nerve-jangling tension, brought to life by superb performances from Bruce Willis, Toni Collette, and 11-year-old Haley Joel Osment as a troubled young boy who added a chillingly simple new phrase to the pop culture lexicon: "I see dead people." The film was nominated for six Oscars, including Best Picture, and Shyamalan was heralded by many as the second coming of Alfred Hitchcock. After that auspicious start, the filmmaker known affectionately to his friends and peers as "Night" has carved out an infamously hit-or-miss career. Less than a decade after The Sixth Sense ruled the box office, he hit the kind of rough patch that sinks most filmmakers permanently. But Night has since made a remarkable recovery, with 2016's The Visit and 2017's Split garnering widespread acclaim and reinvigorating his career. 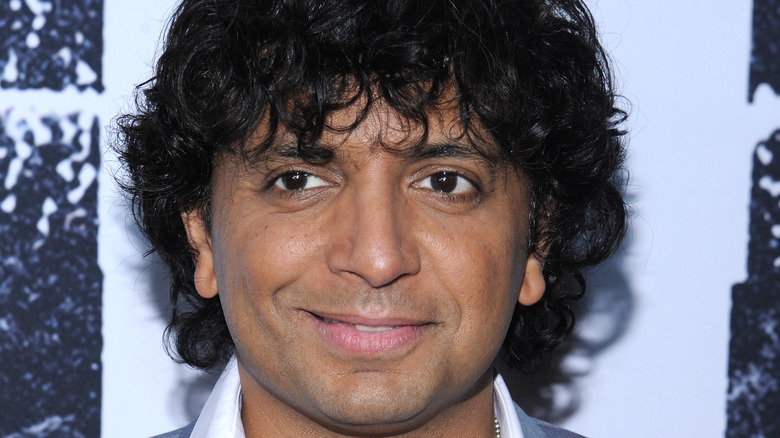 As we anxiously await Glass, the sequel to Split, let's take a look at some lesser-known facts about a man who's more than just the sum of his his twist endings — the sometimes frustrating, sometimes masterful, always interesting M. Night Shyamalan. We tend to think of The Sixth Sense as M. Night Shyamalan's debut, but that would be Wide Awake, a quirky comedy-drama which featured Denis Leary, Rosie O'Donnell, and Robert Loggia among its pretty great cast. The story of a ten-year old boy (Joseph Cross, who has gone on to respectable work as an adult) who embarks on a literal search for God after the death of his grandfather, it might have been a more proper introduction if not for the studio's interference. 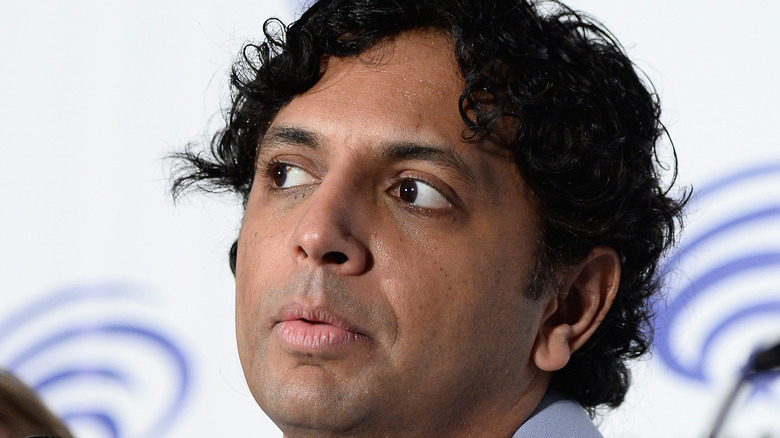 Shyamalan was able to secure financing on the strength of his script, but Miramax made working conditions untenable by micromanaging the project, getting Night's cinematographer fired, and even threatening to shut the $10 million production down. The result was a curiously flat, personality-free picture that failed even to crack $300,000 at the box office. Fortunately, Shyamalan had been working on an even more interesting screenplay — and The Sixth Sense (purchased by Disney for $3 million, plus an extra $1 million for Night to direct) jumped up to the big leagues when Bruce Willis joined the cast. His involvement quadrupled the project's budget, from $10 million to $40 million. M. Night Shyamalan's skills as a screenwriter helped him make his way into Hollywood; before he became associated with Hitchcockian suspense and Twilight Zone-esque twists, he was simply a working scribe. Among his first jobs: the 1999 teen comedy She's All That, for which he received no credit and which performed either a complete rewrite or simply a polish, depending on who you believe. In an interview with Movies.com, Night himself stated point-blank, "I ghost-wrote the movie She's All That." Credited screenwriter R. Lee Fleming Jr. quickly responded with a (since deleted) tweet, deadpanning, "Only in his mind." Then-Miramax head of development Jack Lechner then split the difference, weighing in on a comment on The Mary Sue: "R. Lee Fleming wrote the script we bought, which is recognizably the same movie you saw… M. Night Shyamalan did an uncredited rewrite on the script, and a very good one that got the movie green-lit." 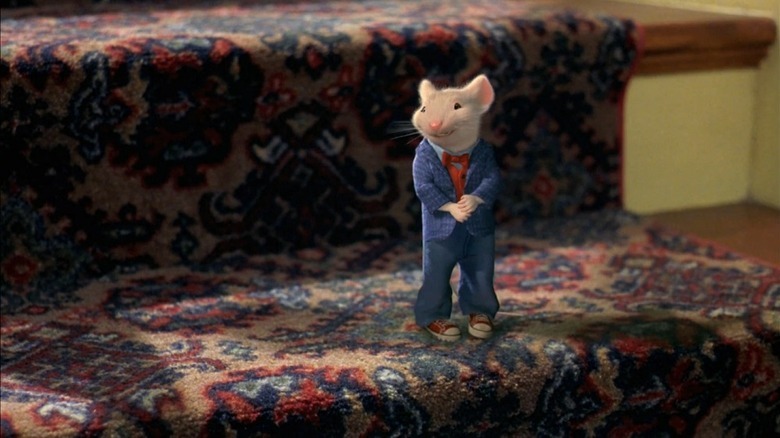 Whatever Shyamalan's actual involvement was, nobody disputes that he also wrote the screenplay for Stuart Little, the 2000 animated talking mouse affair featuring Michael J. Fox in the title role. Night commented on the disparity between the family-friendly cartoon and his most famous work in a Moviefone interview: "The year that I made The Sixth Sense, I wrote Stuart Little, and that's [how] I think of myself: kind of funny and leaning towards family fare, and I have a dark side." 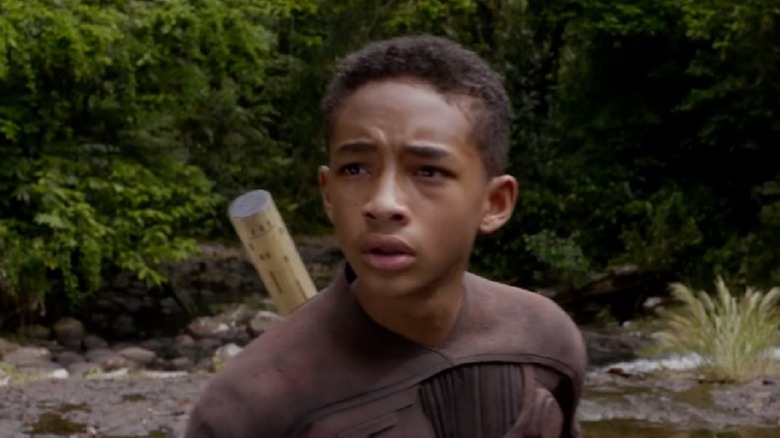 The 2013 sci-fi action outing After Earth was the second starring vehicle (after The Pursuit of Happyness) for the father and son team of Will and Jaden Smith, telling the story of a military man and his son who must fight for survival on a barren and hostile Earth a thousand years in the future. The film was neither a gigantic flop nor even a modest success, and if you knew M. Night Shyamalan wrote and directed it, you're in the minority. At the time, Night was riding out a rough streak of films, each one greeted with more derision than the last. It started with 2006's Lady in the Water, followed with 2008's The Happening, a bizarre sci-fi tale about plants turning deadly. But the low point came in 2010 with the ill-conceived manga adaptation The Last Airbender, which is widely considered one of the worst films of all time. While preparing the marketing campaign for After Earth, Sony apparently decided that the director's name on the project would amount to box-office poison — a decision that, in retrospect, may have been a little unfair. For a film which Will Smith called the most painful failure of his career, putting Shyamalan's name on the poster certainly couldn't have hurt. M. Night Shyamalan's box office woes became truly noticeable with Lady in the Water, but his streak of whiffs really started even earlier — with 2004's The Village, which critics tend to either trash mercilessly or hail as a misunderstood masterpiece. As part of the film's marketing, Night teamed up with the Sci Fi Channel (now SyFy) for what could have been an interesting project: a documentary titled The Buried Secret of M. Night Shyamalan, purporting to reveal spooky secrets about his childhood that influenced his filmmaking. There was only one problem: the whole thing was completely fake. The "documentary" revealed the totally bogus secret that Night had, like little Cole Sear in The Sixth Sense, been able to see dead people as a child — a condition supposedly brought on by the drowning of a young boy near his childhood home. Guests such as Johnny Depp and The Village star Adrien Brody spoke earnestly on camera about the claims, and Night played his role to the hilt, even appearing to storm angrily out of an interview. When the show was revealed to simply be a marketing tie-in, a network spokeperson offered a humble apology: "We did this type of thing before and our viewers expect this from time to time… we were looking to play along with our brand and it's something we worked on with Night." 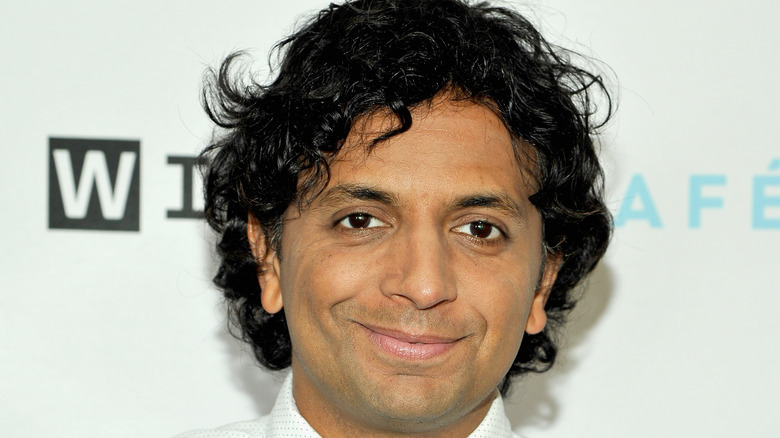 M. Night Shyamalan was bitten by the filmmaking bug while growing up in Philadelphia, but he comes from an extensive family of physicians — not only were his father (a retired cardiologist) and mother (a retired obstetrician) both in the field, he has nine aunts and uncles who are doctors as well. In a Rolling Stone interview, Night spoke about his family's expectations, saying, "Medicine was in my genetic makeup… as an Asian child, it comes as naturally as driving a car. You get good grades and you plan for a profession in medicine, without even thinking. It was always my backup plan because there was deep concern about my future." His parents were supportive enough to enroll him in NYU film school as a teenager, and Night's cameo as a doctor in The Sixth Sense was his way of honoring his family's legacy. You can bet that any of his scenes involving medicine will be accurate — in the same interview, he recounted a story from the set of Unbreakable in which he had to delay filming a scene set in a hospital to call his mother, who made sure he was getting his medical jargon right. 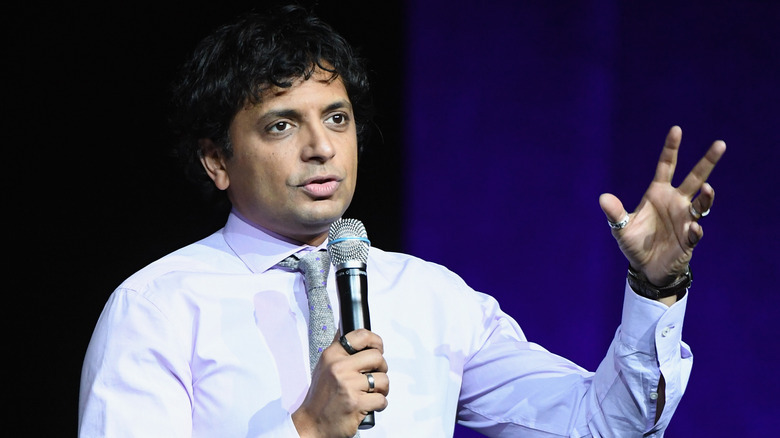 At the age of eight, Shyamalan was given his first movie camera — a Super 8, common at the time — and immediately became a prolific producer of grainy amateur films shot around his Philadelphia neighborhood. He may have been on his way to becoming known as a master of suspense, but as a child, Night had no designs on becoming the next Hitchcock. Instead, he wanted to be the next Steven Spielberg. Similarities in themes and style have been noted between the two directors, including their uses of precocious children, the theme of the supernatural suddenly intruding on everyday life, and their shared fondness for long takes and unique framing. As it turns out, Night's respect for the master runs so deep that he turned down a golden opportunity to write the screenplay for the fourth installment in the Indiana Jones series, largely out of fear of screwing it up. In a 2002 interview, Night said, "I was asked, but it didn't work out… It was a tricky, tricky thing to get four of us [Night, George Lucas, Steven Spielberg and Harrison Ford] together at the same time on the same page… It was just a tricky time. I didn't think it was the right thing for me to do. 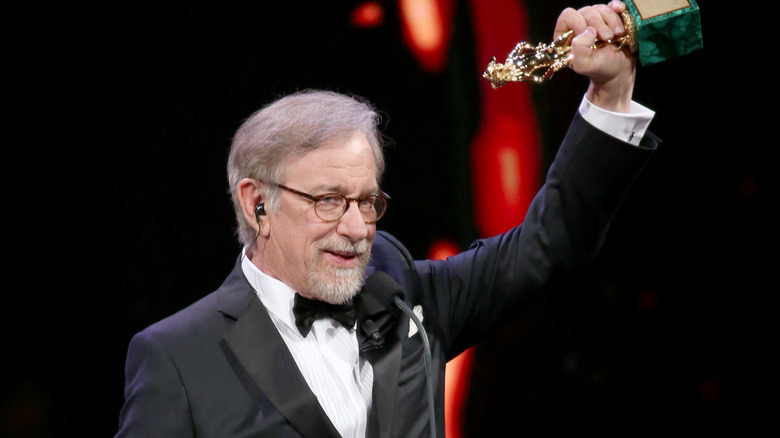 I mean [Raiders of the Lost Ark] was the movie that above everything I think has affected me." 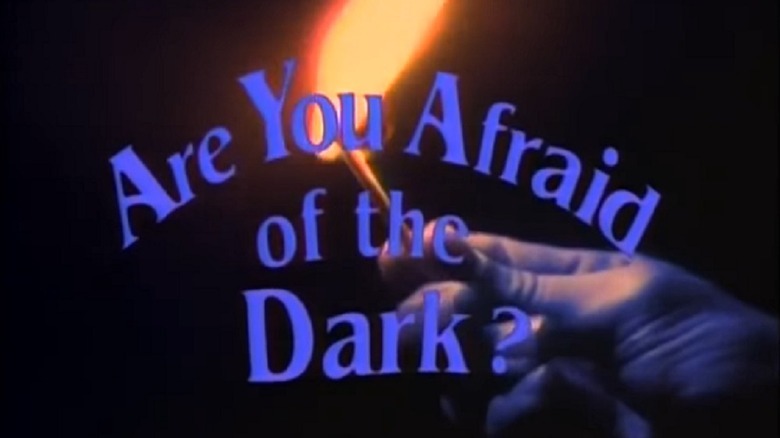 Years after the success of The Sixth Sense, many children of the '90s who grew up to become internet writers noticed a curious similarity between the plot of M. Night Shyamalan's breakthrough film and an episode of one of their favorite old TV shows: Nickelodeon's Are You Afraid of the Dark?, the beloved anthology series that scared the hell out of impressionable children. The episode in question is "The Tale of the Dream Girl," in which a boy who keeps seeing the ghost of a girl killed in a car accident comes to find out that he, too, was killed in the same accident, and that he's been (you guessed it) dead the whole time. 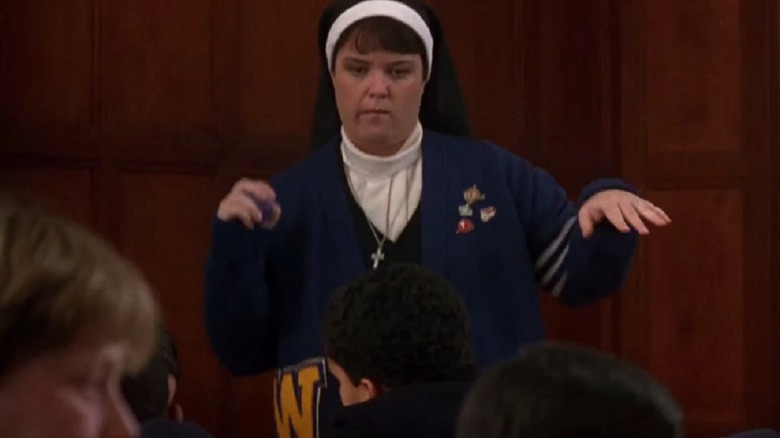 Aside from the main hook, there aren't a lot of similar plot details, but that final twist was on-the-nose enough to make fans of the show take notice. Night hedged his bets when asked about the episode in a 2017 interview with ScreenCrush, saying, "I don't think I've ever seen that show. I don't want to ignore something that might have been an influence, but nothing rings a bell when you say that." The Harry Potter films benefited from the presence of more than one visionary director, and it may intrigue Potterheads to know that M. Night Shyamalan was offered the opportunity to put his stamp on the Wizarding World no fewer than three times. He was offered the director's chair on the first film, Harry Potter and the Sorcerer's Stone (on Spielberg's recommendation), but turned it down to finish post-production on Unbreakable while gearing up for the production of Signs. After that film's success, he was offered Prisoner of Azkaban, but declined in favor of The Village; Potter came calling one final time for the next installment, Harry Potter and the Goblet of Fire, but Night was more interested in an adaptation of the Yann Martel novel Life of Pi, a project which fell into development limbo for years (and was eventually helmed by Ang Lee). It's interesting to consider what might have been — but then, Potter isn't the only hot property that Night has declined to be a part of. In 2010, M. Night Shyamalan told the crowd at New York Comic Con that around 2000, he received a tempting offer. Called to a meeting with Warner Bros. executives, he found himself being asked if he might be willing to take up the reins on a new Superman or Batman movie — and nobody was more surprised than Night when he turned it down. The meeting wasn't a total loss. Night said that in being offered the chance to work with these iconic characters, the "instinct to do something more original came out." He'd been kicking around a story about a man who's the sole survivor of a horrific plane crash — but, being aware of the Tom Hanks vehicle Cast Away which was in production at the time, feared that his story would be too similar. He changed the central event to a train wreck, and during his Warner Bros. meeting, he was inspired to flesh out the premise with the concept of a man who slowly realizes he's indestructible. "If [Warner Bros.] hadn't called," he said, "I probably wouldn't have done Unbreakable." The bizarre fairytale Lady in the Water is among M. Night Shyamalan's most maligned works. The muddled and confusing story (along with Night's insertion of himself in a rather self-serving supporting role) left audiences cold — and critics even colder, especially considering that a clueless film critic is among the movie's antagonists. Yet in an interview with Yahoo! Entertainment ten years later, Night was asked for his feelings about the most "controversial entry" of his filmography — and gave a surprising answer. "I love that movie," he said. "If my house was burning down, and I had to grab a few movies, Lady would be one of them. I'd grab Unbreakable, Lady, and maybe Split and get the hell out!" Far from oblivious to the fan response, he elaborated, "The genre of that movie was kind of a kids' fantasy, but I was toying with ideas of tone and movement that, had I wrapped it inside of a thriller instead, would have been right on the money." Perhaps he's right, because it certainly seems that fans couldn't be happier since Shyamalan has returned to making the kind of edgy, psychological thrillers that made him famous — and done so with a vengeance.